An FAQ with details of all you need to know about the monster black hole in the M87 galaxy, the giant Event Horizon Telescope and why scientists are looking for pictures of black holes. 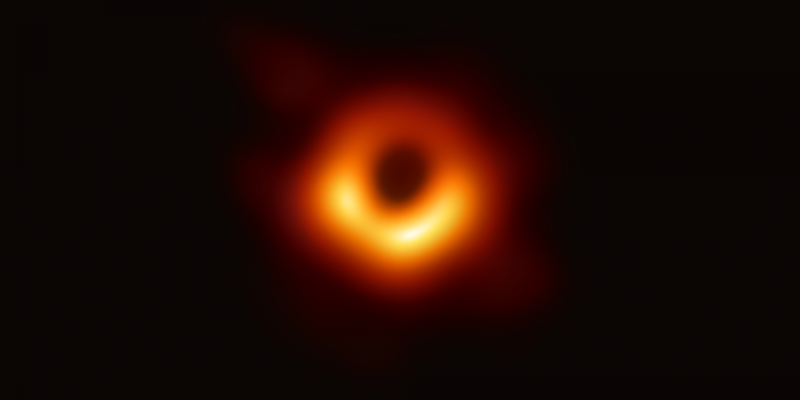 Chennai: The Event Horizon Telescope has released the first direct image of a black hole and its neighbourhood. This black hole lurks in the centre of a supergiant galaxy called M87, about 53 million lightyears from the Milky Way. This historic image shows a ring of light emitted by gas falling into the black hole. The black hole itself is shielded by its event horizon, a boundary from within which nothing can escape. This is the dark interior in the image. Though astronomers have had solid evidence for the existence of massive black holes for many years, this historic moment marks the first time that it has been imaged. What has the Event Horizon Telescope actually seen? The Event Horizon Telescope (EHT) has imaged the silhouette – or shadow – of the black hole at the centre of the M87 galaxy. To create this image, astronomers combined data from eight different telescopes across the world in an observation run conducted in April 2017. The data in question was electromagnetic signals with a frequency of 230 GHz, or a corresponding wavelength of 1.3 mm. Using this, astronomers formed the image of a black hole for the first time. The event horizon of a black hole is the ultimate boundary. Nothing from inside it can escape to the outside. The ring of fire in the EHT image is light from the gas falling into the event horizon, and its shadow is the dark hole in the centre. The exact shape of the ring is due to the way the incredible gravity of the black hole bends the light around it, and the extreme speed at which the gas is falling in. The ring is not seen to be uniformly bright because these numbers are uneven. A telescope large enough to ‘observe’ the shadow of the black hole in M87 would have had to be as big as Earth itself. Since that might have been a bit difficult to build, astronomers went for the next best thing. Using a technique called very-long-baseline interferometry, data from many telescopes distributed across Earth were combined with help from atomic clocks and advanced computing techniques. This way, the images obtained by all the telescopes together would be of similar quality and value as that obtained a single telescope as wide as Earth. The flip side is of course an enormous computing cost, with thousands of terabytes of data that takes many months to refine and process. Why are such computing costs incurred? The EHT imaged M87 by observing electromagnetic radiation that had a frequency of 230 GHz – over 2,000-times higher than the frequencies at which radio stations on Earth transmit data. This is a pretty special frequency because it has many useful properties, or abilities. The lower frequency emitted by the gas surrounding the black hole is less bright. Higher frequency radiation is blocked by our own atmosphere. The sweet spot, therefore, is 230 GHz. And telescopes capturing such radiation require very hi-tech hardware, need to function at the limits of their performance, and require the use of high-precision atomic clocks and data-processing techniques. 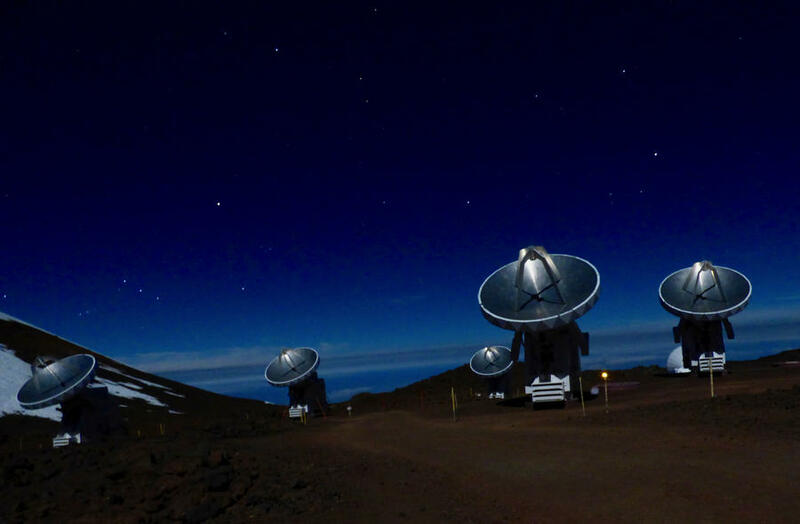 Which telescopes were a part of the EHT, and why did they have to be so far apart? 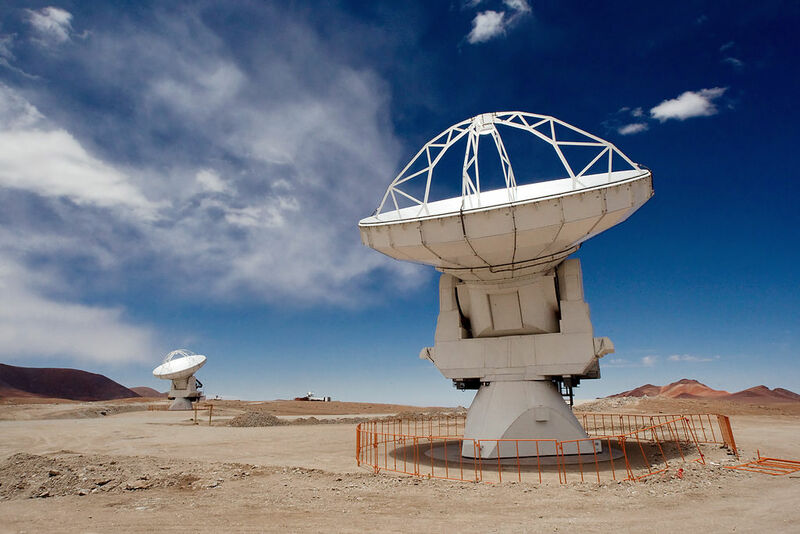 The EHT was made up of eight telescopes operating together, tracking radiation at the sub-mm wavelengths. They were as far apart as Hawai’i, the mainland USA, Chile, Mexico – even the South Pole. All of them had to look at M87 together at the same time and record their data. The size of the ring imaged by EHT occupies an angle of about 40 micro-arcsecond in the sky – about the angle made by the thickness of a sheet of paper viewed edge-on from 100 km away. The black hole in the M87 galaxy makes this task a little less daunting because it is the largest known one of its kind in the local universe. To image such a small region of the sky, astrophysicists needed a telescope with a very large magnification, especially so features inside the image could be captured well. In the technique used to combine data from different telescopes, the magnification is higher if the telescopes are farther apart. And the farthest apart they can be is of course the diameter of Earth itself. Put another way, using the EHT, you could kick back on an armchair in Delhi and read a book in Kanyakumari. How big is the black hole at the centre of M87, really? Almost all galaxies have black holes at their centres. These can be a few million to a few billion times the mass of our Sun. Our Milky Way galaxy has a fairly small black hole about 4 million times as massive as our Sun. However, the black hole in M87 is a veritable monster, weighing 6,500-million-times as much as our Sun. Its event horizon, its outermost boundary across which nothing can escape, is about 20,000 million km wide – bigger than the entire Solar System. A black hole does not emit any light. So how do astronomers ‘see’ it or its shadow? Matter is attracted by the gravity of a black hole but cannot fall into it easily. In fact, it first forms a swirling disk around it – like water circling a drain inside a bathtub – through which it spirals in at a very high velocity. While doing so, the matter is also heated to very high temperatures and exists in the plasma state of matter. And this hot magnetised plasma is what emits the intense radiation that we observe. The EHT has reconstructed an image of the radiation from this surrounding gas at a frequency of 230 GHz. However, the image is not as simple as a dark hole in front of a disk of radiating gas. Since gravity near the black hole is immense, it can bend the path of light from the surrounding plasma in peculiar ways. So even light from the gas behind the black hole is bent in such a way that it reaches the eyes of an observer looking at the black hole’s front side. Such bending is called gravitational lensing, and it determines the final shape of the ring and the inner shadow that the EHT images. Black holes are natural laboratories in which physics theories – such as Einstein’s general theory (GR) of relativity – are tested in extreme ways. GR relates the motion of bodies due to gravity with the curvature of spacetime. It has passed every test that humans have been able to track and/or perform in our Solar System – the accuracy of GPS systems stand testament – as well as over other astronomical bodies. These more local settings are collectively called weak gravity cases, where the curvature of spacetime is small. What astronomers and astrophysicists would like to do is to test the theory in strong gravity regimes, where the curvature is much higher, and see if the theory still holds up. 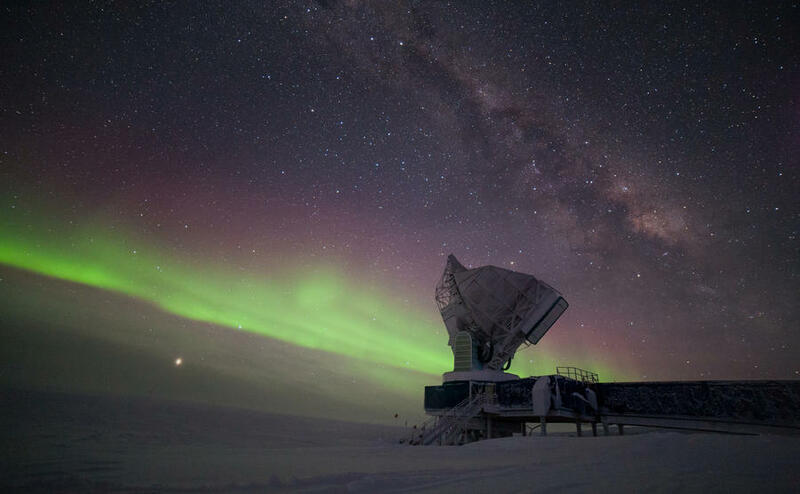 The EHT isn’t alone here: the twin Laser Interferometer Gravitational-wave Observatories, which have been detecting and studying gravitational waves emitted by the mergers of pairs of black holes, are performing similar tests. The black hole in the centre of the Milky Way galaxy is about 1,000-times less massive than the one in M87, and so is also smaller by the same factor. The reason it appears to be a bit bigger in the sky is that it is only 26,000 light years away from us. According to scientists at the announcement, the EHT had also observed the Milky Way’s black hole. However, because its brightness varies much more rapidly, it is harder to process the data so obtained, and it will be more time before meaningful images become available. Why weren’t Indian telescopes part of the EHT? India does not have a telescope working in the sub-mm wavelengths. Though it does host two of the world’s largest radio telescopes – the Giant Metrewave Radio Telescope near Pune and the Ooty Radio Telescope – they operate at the centimetre and metre wavelengths. As a result, they are completely blind to the shorter sub-mm wavelengths, and would not have been able to see 230 GHz radiation that the EHT considers to be of interest. 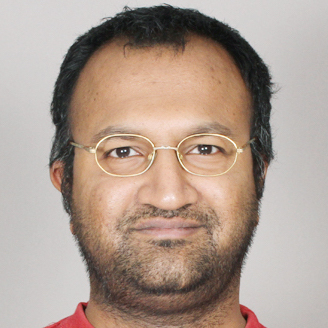 Niruj Mohan Ramanujam is an astronomer and a member of the Public Outreach and Education Committee of the Astronomical Society of India. He tweets at @nirujmohan.